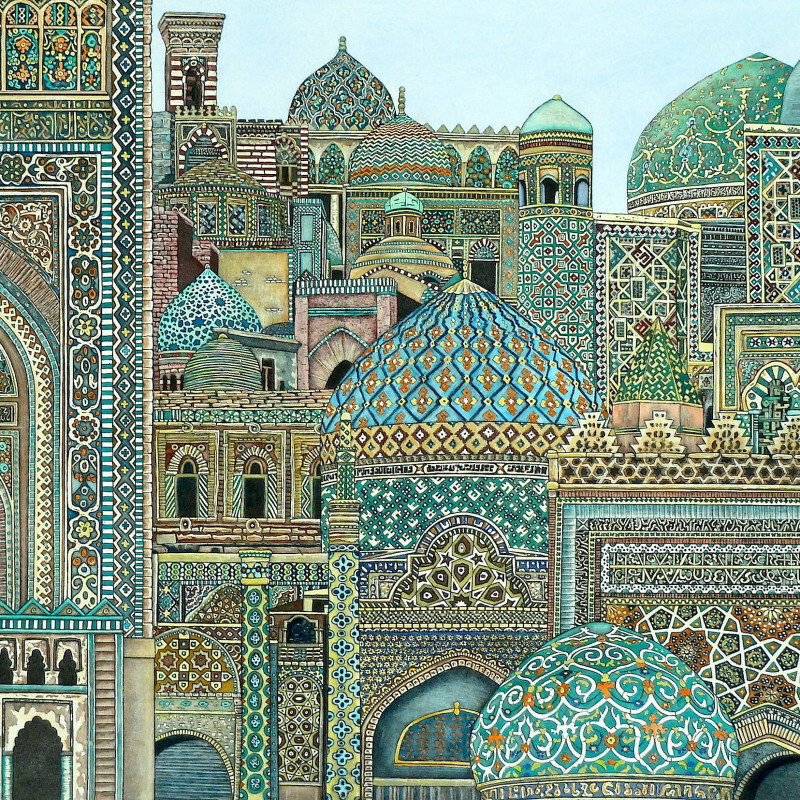 Beautiful patterned decorative architecture has fascinated and excited Meg Dutton for many years, and although she tackles other subjects it is the one theme to which she constantly return. Places produce emotional responses and conjure up imagined images, intrigues and legends of the past. She draws, paint and produces etchings about those places of which she feels a part, and with which she has a special affinity. Her works are usually a result of an assembly of various images collected from different sources.